Amazon has slashed the price of the Logitech Revue from $300 to $200. This is likely a response to the fact that Google's partners are having trouble pushing Google TV as many consumers are finding the platform too complicated to use. Last month, we learned that Logitech, a Google TV launch partner, had only made $5 million in sales of the Logitech Revue and accessories (released in October 2010). In the quarter before that, Logitech reported Google TV product sales of $22 million. The company was estimating to sell another $18 million this past quarter, meaning it missed estimates by more than 70 percent. Google officially launched Android 3.1 earlier this week. The minor update to Android 3.0 (codenamed Honeycomb) is being made available to various tablets in the coming weeks, and will arrive on the Google TV platform in the coming months. Logitech has confirmed that all Logitech Revue boxes will automatically get the Android 3.1 (codenamed Honeycomb) over-the-air update when it becomes available later this summer. Google is hoping the update will give its platform a much-needed boost, but until then, it appears that sales expectations are still low. This price cut is a clear indication of that. For consumers, the update means that the Android Market is coming to their TV. For developers, the update means being able to use one SDK to ship apps that work both on Android tablets and on Google TV. On the flipside, Logitech is also going to have to deal with increased competition. Google has hinted that new hardware from Samsung and Vizio is coming, but hasn't shared further details. The two were rumored to have Google TV product announcements set for CES 2011, but those plans collapsed, and another rumor even said Google was the one that delayed the products. 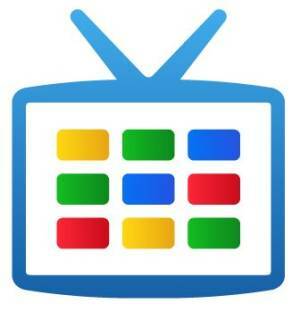 Either way, there will soon be four hardware vendors for Google TV: Logitech, Sony, Samsung, and Vizio.